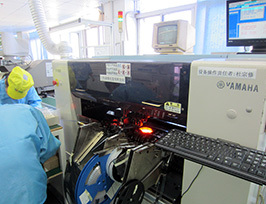 Asian Circuits is a low-cost, customer-focused, electronics contract manufacturer that provides affordable Printed Circuit Card Assembly services. Asian Circuits has highly trained, manufacturing and technical support teams that ensure a customer's order is processed correctly, parts are procured at the lowest cost, and circuit cards are manufactured and assembled with the highest quality to ensure total customer satisfaction. 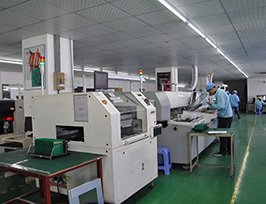 Asian Circuits has a broad range of Circuit Card assembly capabilities that include placing 0201 packages (0.6mm x 0.3mm), fine-pitch parts (up to 8 mils), high-density connectors, ceramic BGAs, plastic BGAs, micro BGAs (2 mm x 3 mm), and large size BGAs (45 mm). It also has the capabilities to insert BGAs on a PCB with a 0.4 mm pitch. Asian Circuits is also capable of manufacturing a wide range of PCB technologies including through-hole (THT), surface-mount (SMT), mixed-technology (THT and SMT), double-sided SMT assemblies, and double-sided mixed-technology. 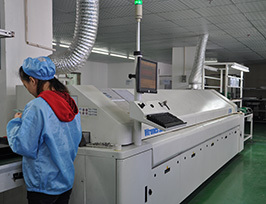 To ensure flawless production assembly services, Asian Circuits employs two quality control services: Design for Manufacturing (DFM) and Design for Testing (DFT). The DFM service verifies a customer's circuit designs possess no design errors as well as resolve any manufacturability problems prior to production. The DFT service adds test points to the layout and certain other factors are incorporated such as leaving clearance for test probes. DFT aids reliability at the testing stage. Both the DFM and DFT services guarantee a customer's PCBs will be manufactured efficiently at the lowest cost. 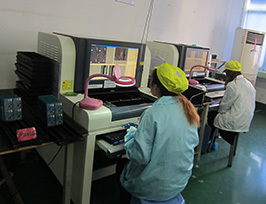 To guarantee the functionality of the PCBs prior to shipment, Asian Circuits conducts extensive testing using the state-of-the-art equipment and the most rigorous inspection techniques. X-ray inspection is used to verify the integrity of solder joints for leadless and BGA components. Automated Optical Inspection (AOI) testing is employed to ensure the accuracy of parts placement and orientation, solder joints, etc. early in the production process. For a PCB Assembly cost estimate, we have an instant quote feature on our website. For an official quote for PCB fabrication and assembly, customers need to send the BOM list and Gerber files to sales@7pcbassembly.com. After receipt of the required files, our technical support team will supply an official quote within 24 hours.